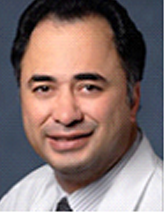 Dr. Sanjay Kaul, M.D. served as Member of Scientific & Regulatory Advisory Board at 3D Communications Inc. Dr. Kaul is a Cardiologist at Cedars-Sinai Medical Center in Los Angeles, California, and Professor of Medicine at the David Geffen School of Medicine at UCLA. Dr. Kaul finished his term as a permanent voting member of the Cardiovascular and Renal Drugs Advisory Committee, and is a frequent temporary voting member of the Endocrine and Metabolic Drugs Advisory Committee.